When Fujitsu was chosen by Yokogawa Electric Corporation in April 2013, it was not because of the reputation that the firm’s name carried. 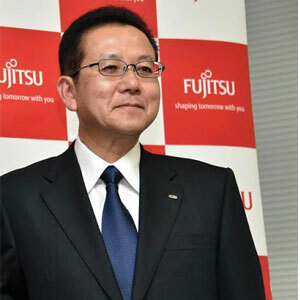 Of course, Fujitsu is the third oldest IT firm and was the world's fourth-largest IT services provider measured by IT services revenue, but it was Fujitsu’s overall technology expertise, capability, and project execution that made Tomoya Hayashida, Group Manager, MIS dept. ICT Planning Gr, Administration Marketing HQ, Yokogawa Electric Corporation state, “Our partner, Fujitsu Hokuriku Systems challenges with us to achieve our goal with their ICT. They put themselves in our shoes to fully understand our issues, and work in collaboration to solve them. This attitude influenced our decision.” And the benefits reaped by Yokogawa speak about the success of Fujitsu in itself. The combined automated tiering of ETERNUS SF Storage Cruiser and ETERNUS DX8700 S2 increased operational management efficiency and improved online transaction performance by 20 percent, by reducing costs and providing users with better support for data utilization. With its Server PRIMERGY systems, Fujitsu has been transforming organization’s IT into a competitive advantage! The firm’s Server PRIMERGY systems proffers a powerful and flexible data center solutions for companies of all sizes, across all industries and for any type of workload. Powered by Intel Xeon processors, Fujitsu’s product portfolio include expandable PRIMERGY tower servers for remote and branch offices, versatile rack-mount servers, compact and scalable blade systems, as well as density-optimized scale-out servers. With a business proven quality, a wide range of innovations, and highest efficiency cutting operational cost and complexity, the firm provides more agility to their clientele in their daily operations in order to turn IT faster into a business advantage. Fujitsu offers a range of Blade, Rack, Tower, Scale-out servers under their Server PRIMERGY systems. In addition, FUJITSU Server PRIMERGY is optimized for server virtualization and cloud infrastructure scenarios. Further with ServerView Suite, Fujitsu also provides resource server management under their PRIMERGY server offerings. ServerView provides all the functions for fail-safe, flexible and automated 24x7 server operations and improves end-user productivity via intelligent and innovative system management solutions. The technologies involved in virtualization and the higher dynamics of IT infrastructures is also supported by the suite. Optimized deployment, permanent status monitoring and extensive control or analysis is delivered by the ServerView Suite. The state-of-the-art power monitoring and control functions is ensured by the high level of energy-efficient server operation which results in seamless PRIMERGY integration in heterogeneous IT landscapes with different management and full investment protection. Yokogawa Electric Corporation are not the only that have been assisted greatly by Fujitsu, Advanced Telecommunications Research Institute International (ATR), Yamagata University, University Putra Malaysia, China Telecom are the few of the many names to have reaped out benefits of Fujitsu’s Server PRIMERGY systems. With joyous customers under their belt and innovative solutions at disposal, Fujitsu is really transforming IT-teams into a competitive advantage!